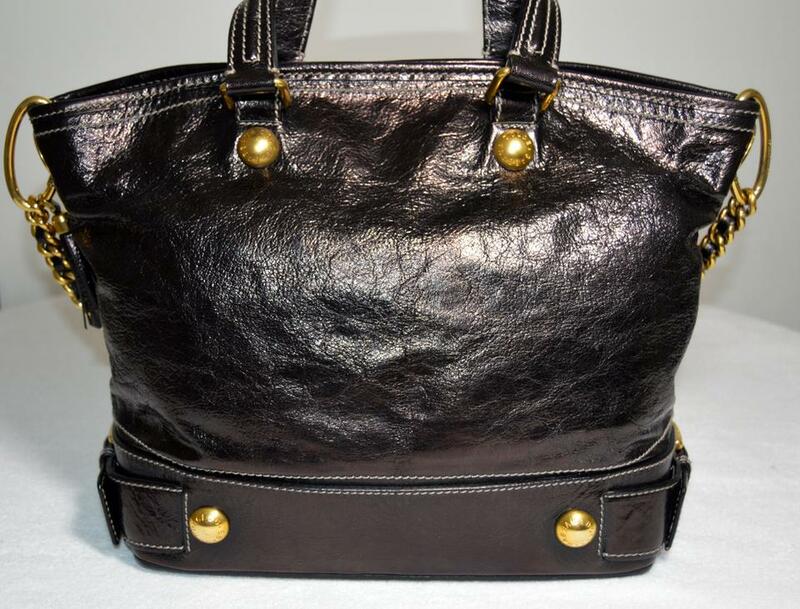 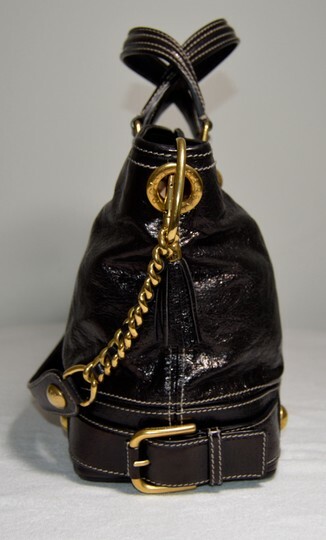 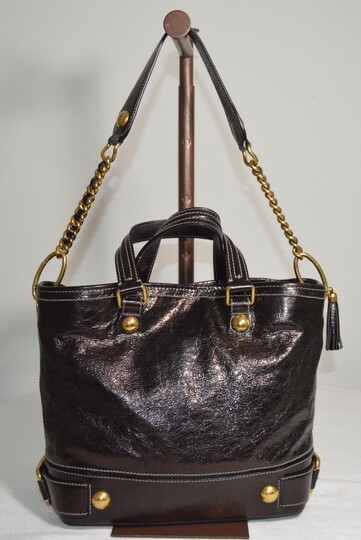 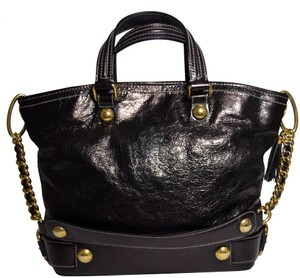 Patent metallic leather structured bottom satchel by Dolce&Gabbana in dark eggplant color. 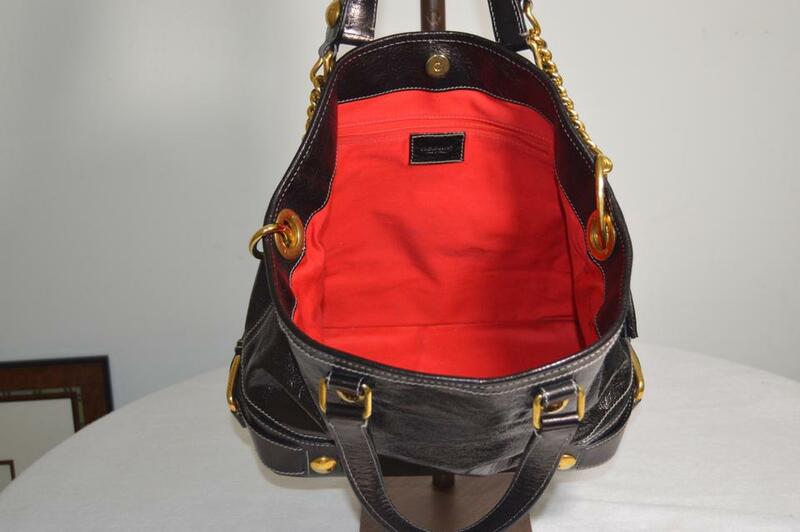 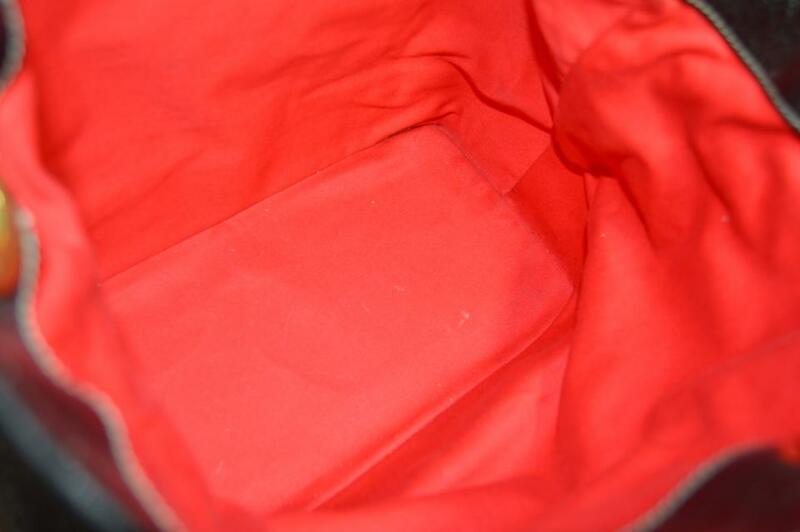 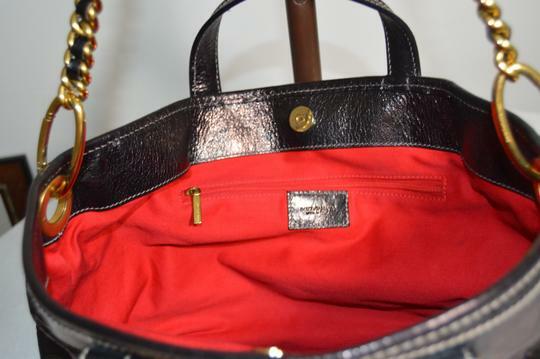 Red cotton lining inside with one zippered pocket. Two buckles on the sides of the structured bottom. 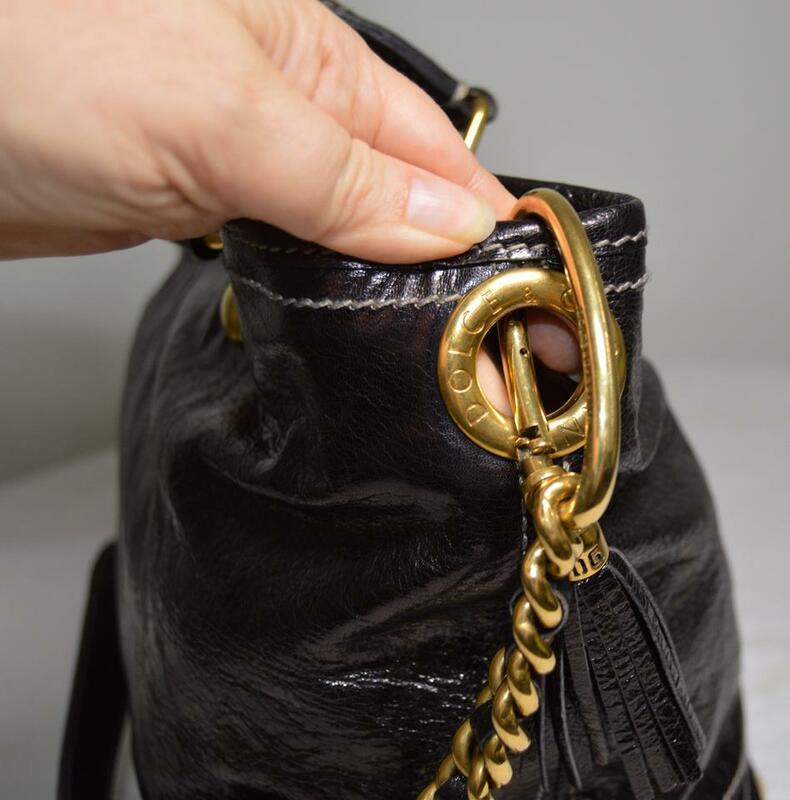 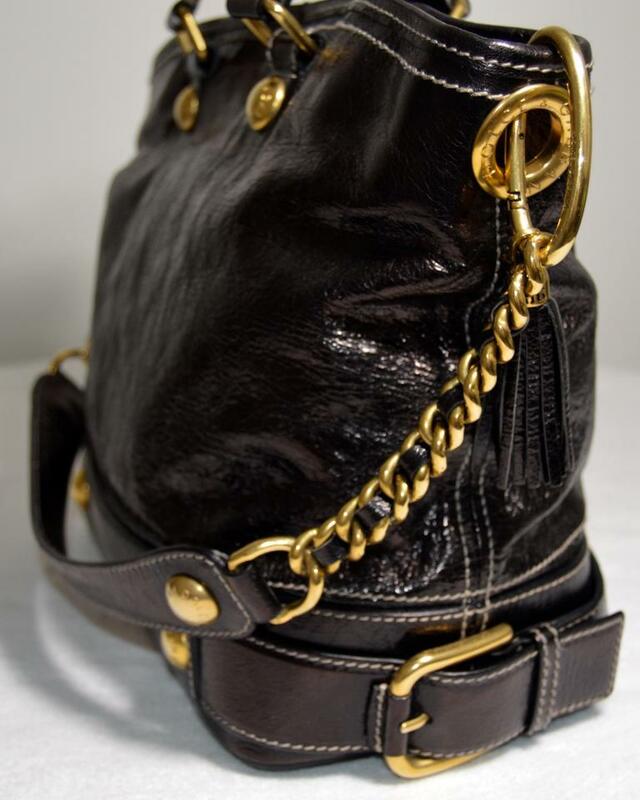 Heavy brass chained shoulder strap with tassel. 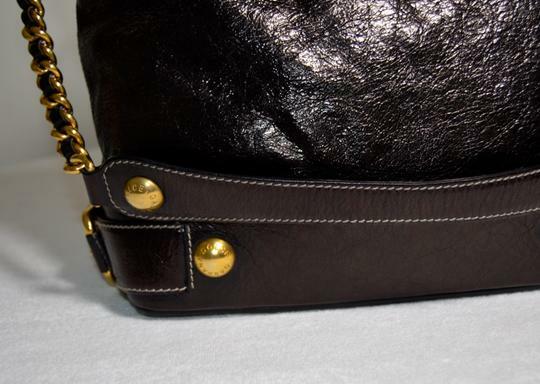 Shoulder strap drops 13 inch. 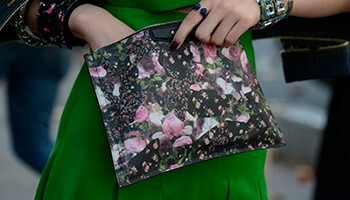 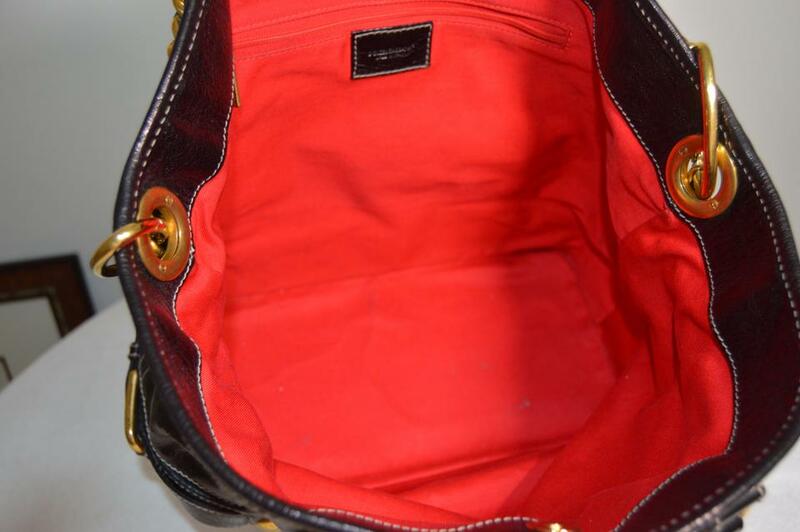 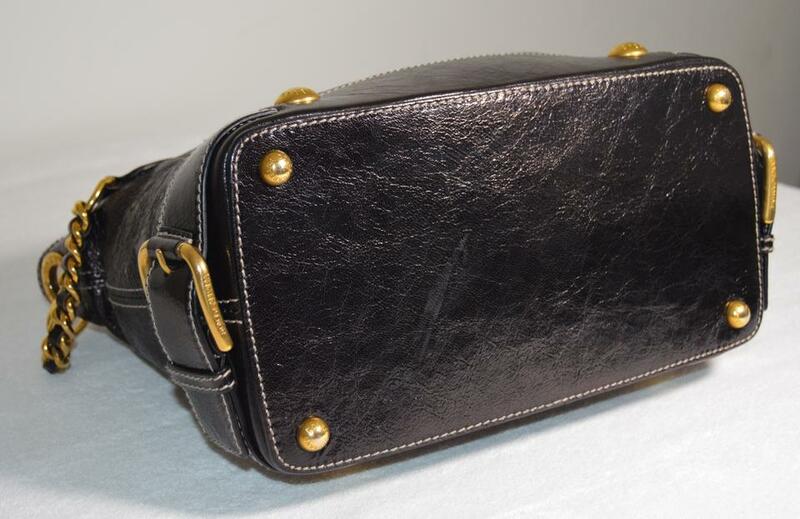 The bag is in excellent condition as seen on pictures.